At IMRIEL, we believe that creating great software should be an enjoyable and fulfilling experience for everyone involved; clients, designers, developers, project managers and QA specialists. Our designers and software engineers love what they do and nothing makes them happier than bringing fresh, innovative ideas to the table. We avoid protracted, expensive and painful projects by using Agile and Continuous Delivery processes. This enables us to quickly deliver functionality that closely matches your business needs and get you up, running and in production in days rather than months. Our fast process allows you to innovate and experiment, find what works and what doesn’t and end up with what works for you. We love using the cloud, but if you prefer to keep your servers where you can see them then we can help you to provision, manage and maintain your systems from the hardware upwards. We will keep your costs down and reduce your implementation time.  We provide a range of business services using some of the world’s leading software technology. Our strength lies in working closely with business people to find creative ways to solve their problems. Our customers stick with us, ensuring their systems continue to deliver precisely what they require over the long term. Learn more about how we work with you. IMRIEL work closely with the clients in solving any complex technology issues. Need Better Reports & Dashboards? Getting better information out of your applications and databases is right up our street. IMRIEL can bring your data alive allowing for better informed management and operational teams using tools like Microsoft PowerBI, Tableau and Qlikview. Why not extend your existing CRM? Many organisations have a basic CRM system - IMRIEL can help you to extend and integrate your CRM to link to back to your ERP, integrate with your web site or even extend them to provide invoicing, project management, timesheets and billing. Want to fix application support costs? Managing complex software applications can be expensive - IMRIEL has the skills in Microsoft, Oracle, Java, XML, MySQL, Postgres, Linux, UNIX and a 24x7 team managing complex applications around the world. IMRIEL Technology Solutions Pvt. Ltd.